Hi all! It’s Christa Watson here, I’m excited to team up with BERNINA to share a brand-new quilt-along that you are sure to love! Over the next five weeks, I will be showing you how to make my Simple Strips Quilt, completely by machine—including the binding. 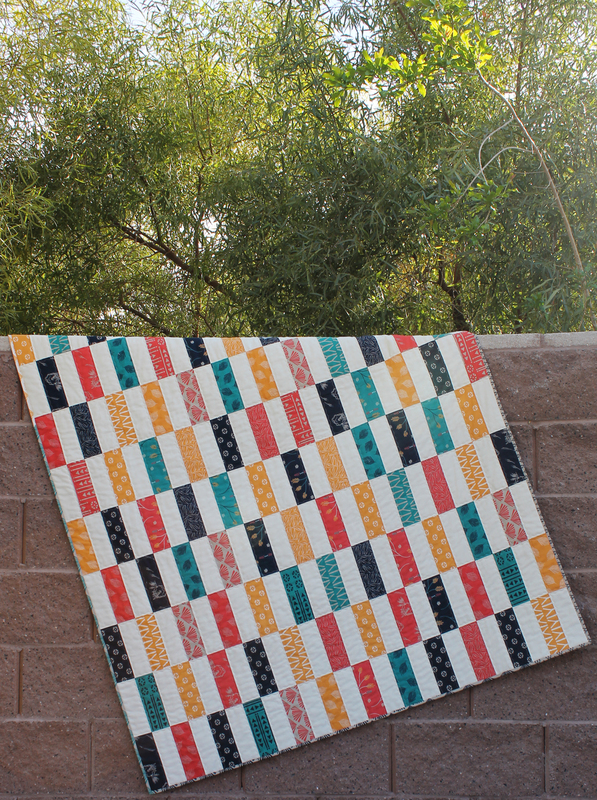 Whether this is your first quilt, or your fiftieth, you’ll enjoy making this quilt from start to finish. Above is a closeup of the machine quilting we will accomplish in week 4. It is fun, quick and easy to do! I love using precuts whenever possible. 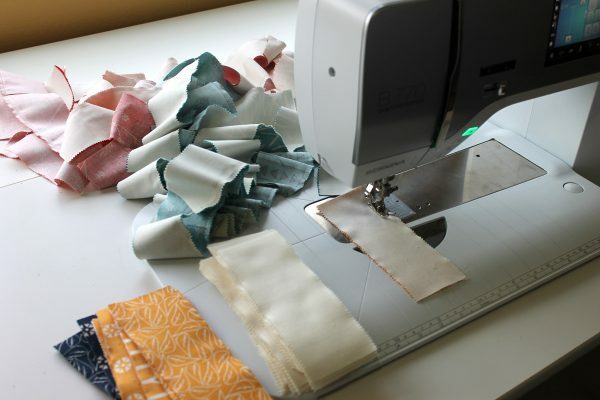 Because much of the cutting work has already been done, it means I can start machine quilting much more quickly! 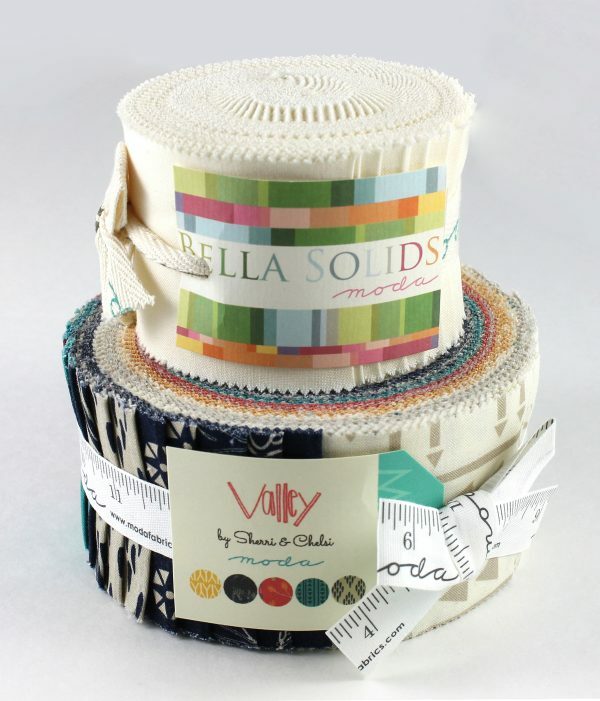 For my version I used ½ Jelly Roll of the Valley collection by Sherri & Chelsi, plus one Junior Jelly Roll of Moda Bella Solids in Ivory. When choosing fabrics, be sure that your dark or print strips contrast well with your light, or background strips. Tip: Lay out the precut strips on a self healing rotary cutting mat. Use the lines on the mat lined up with the lines on the ruler to make a precise cut. I like to use a small square ruler that is at least 6 1/2″ wide for cutting the strips into rectangles. 6 rectangles, 2 ½” x 6 ½”, for a total of 120 rectangles for blocks. 6 rectangles, 2 ½” x 6 ½”, for a total of 120 rectangles for backgrounds. Tip: for faster cutting, keep strips folded and layer two strips at a time, for a total of 4 layers of cutting. Wasn’t that fun? Be sure and join me here again next week and be ready to sew! I’ll be piecing this quilt on my BERNINA 770 QE. It comes with the Patchwork foot # 97D for perfect ¼” seams, every time! Clean and oil your machine, and install a brand new needle. I recommend a size 80/12 Universal needle or Topstitch needle. See ya next week! 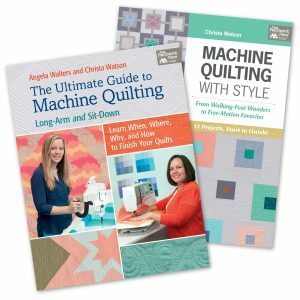 I am the author of two machine quilting books that show you how to make a complete quilt from start to finish, check them out to learn more about quilting. 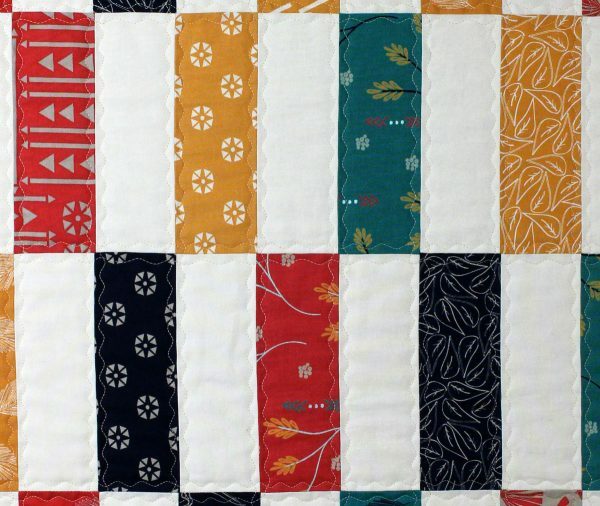 I really like the simplicity of the quilt. It’s darn cute too! Thank you – I had fun making it! Great design!!! So Simple and pleasing to the eye. Thank you – it’s such a fun quilt! How fun & easy! Modern yet traditional. Love it! Thank you – the best of both worlds! 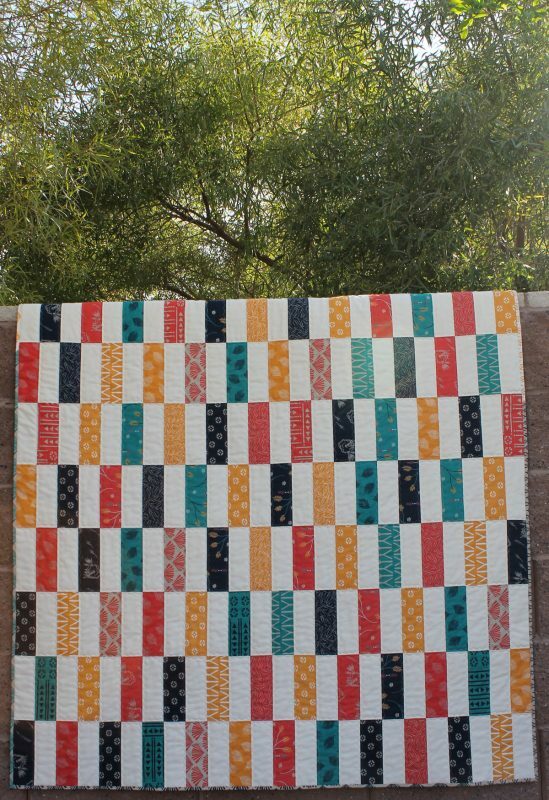 I love the pattern for the simple strips quilt. I am going to cut the the 1/2 light, 1/2 dark 2/12″ x 6 1/2″ strips from cotton shirt backs to make memory quilts to help my grandchildren remember their grandpa. 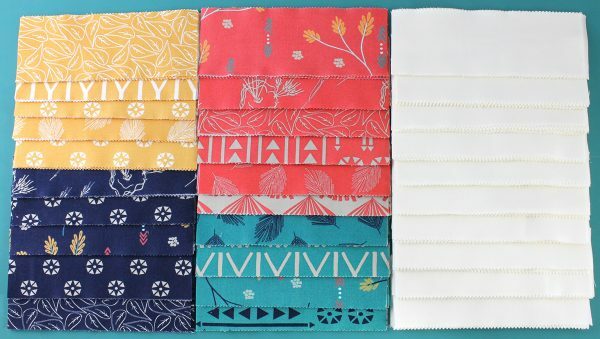 I am a new quilter and would like to know how many yards of fabric I would need to purchase for the 120 background strips? What a great memory project that will be! You will need about 1 1/2 yards for the background, but to be in the safe side, I’d get 1 3/4 yards. I can’t wait to see it! Cut strips from fat quarters that I already had on hand and cut rectangles from the strips. New needle and machine is ready for me to sew! Needed a shot in the arm! I have been stripping my stash with all fabric leftover from quilting projects made from fabric I “shopped for” in my stash! This will be a great way to use some of the 2.5″ strips I’ve cut!! Is there a PRINT command for this class?